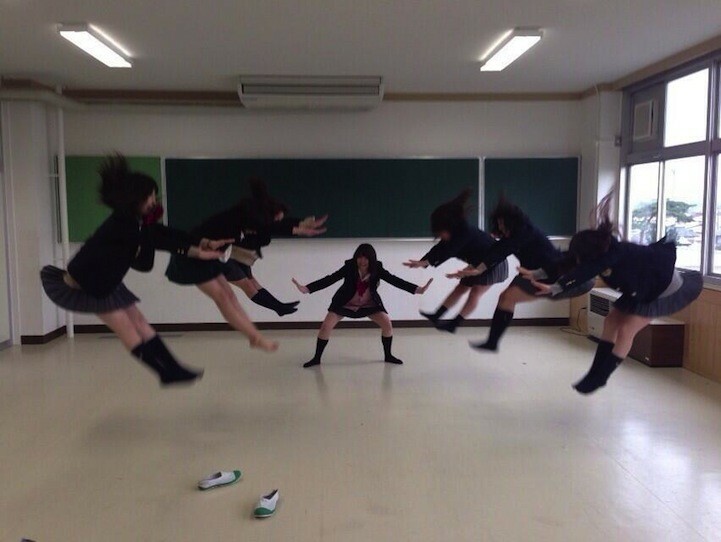 Photos are emerging of Japanese schoolchildren with seemingly superhuman powers that can hurl their fellow students into the air. These girls don’t have superpowers its just a photo craze. Known as Hadokening or Makankosappo, the photo craze involves two or more children staging a superpower knockout sequence as seen in the popular Japanese fighting arcade game Street Fighter and manga series Piccolo (Dragon Ball) and photographing themselves in mid-action. They then post the images to Twitter with the hashtag #Makankosappo. The craze started in South Korea as far back as 2009 but has since gained popularity in Japan among Japanese schoolgirls.